Resisting Arrest under California Penal Code Section 148(a) PC is a broadly defined criminal offense that makes it illegal to intentionally resist, delay or obstruct a law enforcement officer or emergency medical technician from performing his or her lawful duties. The "lawful duties" in question include almost any action performed in connection with their job, and is not limited to the act of performing an arrest. 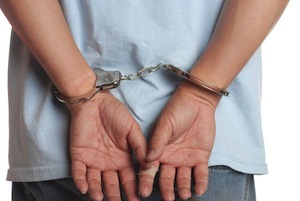 The offense of Resisting Arrest is not limited to the act of performing an arrest, and can apply to any lawful duty. Preventing a law enforcement officer from interviewing witnesses or moving freely around a crime scene, or keeping an EMT from accessing a victim would all be examples of "Resisting Arrest." A peace officer is not lawfully performing his or her duties if that officer is using unreasonable or excessive force. In such cases, attempts to prevent an officer from using inappropriate force would not be considered Resisting Arrest. Police have been called to the scene of a Domestic Violence incident involving a husband and wife. The responding officers determine that the man is the aggressor and attempt to arrest him and remove him from the home. Instead of complying with the arrest, the man purposely goes limp and the officers are required to drag and carry him in order to perform the arrest. In this situation, the man could be charged with Resisting Arrest in violation of California Penal Code Section 148(a) PC, even though he did not actively fight or resist the officers. The intentional act of going limp qualifies as "resisting" under the statute. However, in another example an extremely drunk man is passed out on the sidewalk and is blocking pedestrian traffic. In order to arrest this man for Drunk in Public pursuant to California Penal Code Section 647(f) PC, officers are required to lift and drag him to the back of the police car. This man would not be criminally liable for Resisting Arrest because he did not intentionally make himself limp, and Resisting Arrest requires an intentional act. Resisting Arrest is a less serious charge than Resisting an Executive Officer under California Penal Code Section 69 PC, which typically applies to situations in which force or violence is used to resist an officer. It is not illegal to resist an officer who is using excessive force or violence and is acting in an unlawful manner. In these situations, there would be a valid Self-Defense claim to any subsequent charge of Resisting Arrest. In addition, this is often an area in which there may be False Accusations of Resisting Arrest, especially where the officer may feel they have been disrespected. In these situations, a defense may be explored by closely examining the conduct and history of the officer. Resisting Arrest is a misdemeanor offense that is punishable by up to a year in jail and substantial court fines, as well as any other conditions a judge may impose such as community service/labor or counseling. Any conviction for Resisting Arrest would be visible to law enforcement during future stop and could make those interactions very difficult. If you or someone you know have been charged with or accused of Resisting Arrest, it is important that you consult with a Los Angeles Criminal Defense Attorney immediately. As a former Deputy District Attorney with over 14 years of prosecutorial experience, Los Angeles Criminal Defense Attorney Michael Kraut is highly adept at defending cases of this nature. Mr. Kraut is highly regarded throughout the court system as a fierce defender of his clients' rights. For more information about Resisting Arrest, and to schedule your free consultation, contact Los Angeles Criminal Defense Attorney Michael Kraut at the Kraut Law Group located at 6255 Sunset Boulevard, Suite 1480, Los Angeles, CA 90028. Mr. Kraut can be reached 24/7 at 888-334-6344 or 323-464-6453.